All new interior in this beautifully renovated Stuart Heights home. 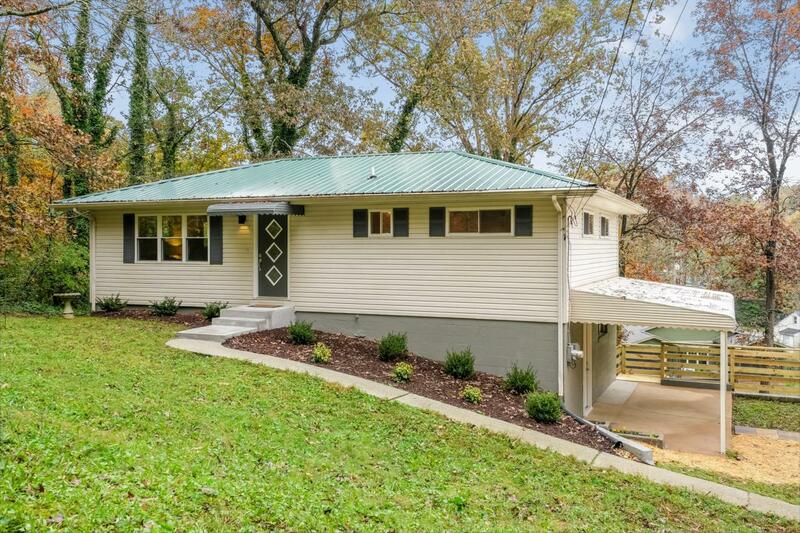 This jewel offers opportunities to expand and is perfect for those ready to downsize to North Chatt. Simply unlimited potential in this move-in ready home. Home features 3 bedrooms and 2 bathrooms on main, a family room and redesigned kitchen with dining area and a spacious deck off the kitchen with great views for relaxing or entertaining. An additional 700+ sq. ft.in basement for expansion with an external entry from the covered patio and features a finished laundry room and another finished room with a full bathroom & closet that can serve as an office or 4th bedroom. The remaining space is prime for finishing, suiting the new owner's needs.This is a fantastic North Shore property!